There are a lot of opinions about what people should and shouldn’t post on Instagram – including food photos. And these opinions are all subjective depending on your own set of values and philosophies. For example, I personally think those ‘what’s your excuse’ #fitspo images aren’t very helpful. And I particularly dislike those posts from people in nutrition or dietetics who post photos of a culturally acceptable female in a bikini on the beach, or in Lycra doing a complicated yoga pose with the hashtags ‘weight loss’ AND ‘eating disorder recovery.’ That is a special kind of wrong to me. So, I totally understand that there are people who have opinions about food photos on Instagram. If you haven’t seen my Instagram feed…well it is littered with food photos. Given I am a non-diet dietitian helping people heal their relationship with food I thought it was worth explaining why I personally, post so many food photos on my Instagram page. One of the big issues on social media, and in the media in general, is a lack of diversity when it comes to bodies. Like I mentioned before, there is a culturally acceptable male and female form that we ALWAYS see on magazine covers, in ads and social media images. We don’t regularly see people of different sizes, shapes, colours and abilities. There is also a lack of diversity when it comes to food on social media. The ‘norm’ for popular health and wellness accounts are green smoothies, or acai smoothie bowls, or perfectly constructed plant-based salads. Anything sweet is ‘raw’ like a raw cheesecake or protein balls or something with peanut butter. And this is why I feel some people have a problem with posting food photos. There is a constant bombardment of only a certain way of eating and certain types of food. And it sets up an underlying belief that this is the only way to eat to be ‘healthy’. So, in my little corner of Instagram, I am trying to bring some diversity to what people see when it comes to food. Yes, there are salads, but there are also cakes (made with white flour and white sugar and butter), alcohol, big rich meals, dairy, grains, vegetables, fruit, bread, chocolate….and lots of coffee. Tossed salad with all the things I like to eat. That is what is so great about them- you don't need a recipe, just think about the ingredients you enjoy and whack them in a bowl with some dressing. Done. One of the cornerstones of Intuitive Eating and the Non-Diet Approach is having unconditional permission to eat. In other words, food is just food – it is not good or bad. Therefore, it ALL has a place in a flexible and peaceful approach to health. Unconditional permission to eat is about truly knowing that you can eat any food, whenever your body feels like it – regardless of the foods perceived ‘health value’ by everyone else. So, my Instagram feed is about practising what I am preaching. You will see a variety of foods on my feed. And they are not followed up with a comment about how ‘naughty’ I have been, or how I am going to have to ‘make up’ for eating the food later, or how ‘good’ I am being, or that I am ‘back on track’ with my eating. I talk about the flavour, or the texture, or how great the combination of ingredients was, or how satisfying the meal was. Or, more often than not – the food is just food. Channelling New York City with a Rueben Sandwich complete with homemade Russian dressing. Pickle and chocolate milkshake mandatory. When you can't decide between chocolate and strawberry, you have to get both. Fun fact: we need to eat food in order to stay alive. However, we are living in a period of time where it is considered ‘normal’ to go to great lengths to not eat. It is considered normal to control cravings, reduce portions, cut out food groups or particular foods, ignore hunger, not eat after/until certain times of the day and compensate for any eating that does occur by ‘burning it off’ with exercise. Our bodies need and deserve adequate nourishment to operate. Even if we were sitting quietly in a chair doing nothing all day long, our bodies use up a significant amount of energy (that comes from food!) to just keep our heart beating, to pump blood around our body, to expand and contract our lungs. If you want to be able to think clearly and be effective in your job, chase after your kids, go paddle boarding or stay out all night dancing, you are going to need to eat even more food to provide the energy needed to support these things! So, while it is nice to post an inspirational quote or text-based ‘image’ talking about normalising eating (FYI, I have plenty of these on my feed too! ), it has the potential to place a filter or layer of ‘mystique’ between the message of normalising eating and actually eating. Repeated images of plates of food are much more explicit that nourishing the body is normal. Not to mention it provides a more accessible medium for people with lower literacy. 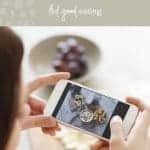 Another reason why people object to food photos on Instagram is because they believe they set up unrealistic expectations about what is involved in preparing and serving up a meal. And that they make people feel bad about their own abilities to prepare and cook food. That is why I am just as inclined to post a picture of a piece of toast and black coffee, or a bowl of cut up watermelon, as I am to post a styled picture of cheesecake I took when practising my food photography. And it’s why I wrote a post specifically on the recipe fails I have had throughout the year. Because I am aware that fussy looking food can put people off. If you look past the photo of the plate of food taken on my kitchen bench, the caption will often be about a short cut I have found to making a meal or dish. Or that the meal has leftovers, so I don’t have to cook again for a couple of days. Or that I am eating my breakfast in the car. Or that I don’t like meal planning. Or that the meal is made up of convenience foods. Just like I am trying to bring some diversity to Instagram when it comes to food photos, I like to think my photos also provide a healthy (probably the wrong choice of word there, but I think you get what I mean!) dose of reality. They show that as a nutritionist and dietitian, I don’t have a diet that follows the Australian Guide to Healthy Eating. That I am just like everyone else who are doing their best when it comes to feeding their bodies. That if you saw me in the supermarket, you wouldn’t have to hide what’s in your trolley because you know I wouldn’t judge you. That if you came to see me in a session, you can feel comfortable to tell me what’s going on with your food and eating. That I am a human and not the food police. All of your social media channels should be filled with stuff that makes you feel good, that oozes positivity and energises you. So, if what you see on my feed (or on anyone’s’ feed who posts food, nutrition, health or fitness stuff) doesn’t align with your values or makes you feel less worthy, then I encourage you to hit the unfollow button. I won’t be offended! But for now, I’m going to keep posting food photos because I think Instagram needs more content that helps people feel good eating. So one of the other things I love about a long weekend like this one is that it gives me a chance to clean out my social media feed. 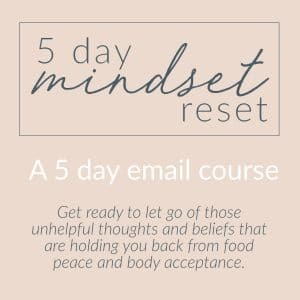 For whatever reason when there is celebration food involved, there is a spike in posts by people who feel the need to dish out advice on how to "get back on track" (eg for every piece of chocolate you've eaten, have one serve of vegetables today- yep that was one I saw this morning). Or they are talking about repenting and making up for their eating by getting back to the gym and eating clean. Well to those people, I have been saying bye bye today and hitting the unfollow button! I don't need that crap in my feed. In the meantime, I thought it was important to show you a close up of those glorious sour cherries that went into my batch of hot cross buns. Sweet and sour doesn't have to be reserved only for chicken! 😘 P.S. If you are wanting to fill your feed with feel good messages and food, I have tagged a bunch of cool non-diet people you might like to follow. 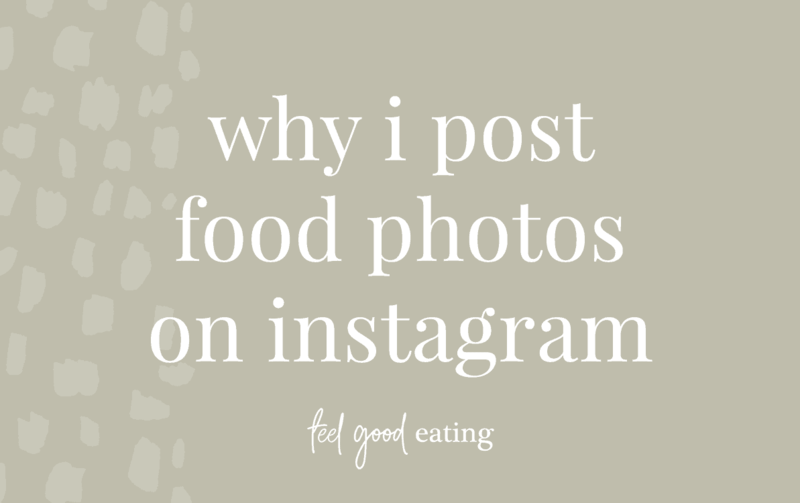 do you like seeing food photos on Instagram? Would love for you to come and follow me if you do! Woo hoo Brynn – come join me in my food diversity corner! I am a pretty bad at dessert so I like to stick to other people’s recipes too that I know work!! This post speaks to me in so many ways! I agree wholeheartedly with your reasoning because this is my philosophy, too! Thank you for writing this! Thank YOU for reading Emily. I think this is great! I don’t personally use instagram or look at instagram however I like that you wrote a post on it. I love this. Everyone could definitely use more real life food photos on their social media. People’s food photos are often so unrealistic, and I always wonder if that’s really all they eat! Glad to see you’re trying to give food a positive, realistic spin with your photos! I have no love for those #fitspo posts, however lots of love to you and your words! Hi Nina, Great post and I can’t agree with you more. It’s so important that we as dietitians and nutritionists promote realistic, achievable and everyday meals through our feeds. Great read Nina,and I love your foodie pics. Keep up the good work. Im so on the same page as you! IE is about embracing when you crave veggies AND cupcakes, not pushing one or the other. I absolutely love food, so as an IE RD why wouldn’t I share it? I love that – celebrating food! I was researching about people who performs this foodinstagramming rituals and came across your words. It is really inspiring for me as I am working on my college projects on food trends and and have to pick a personality for inspiration. And you’re that beautiful person. Later, I will design a hypothetical jacket for you as an end outcome of my project. I am too glad !!! !